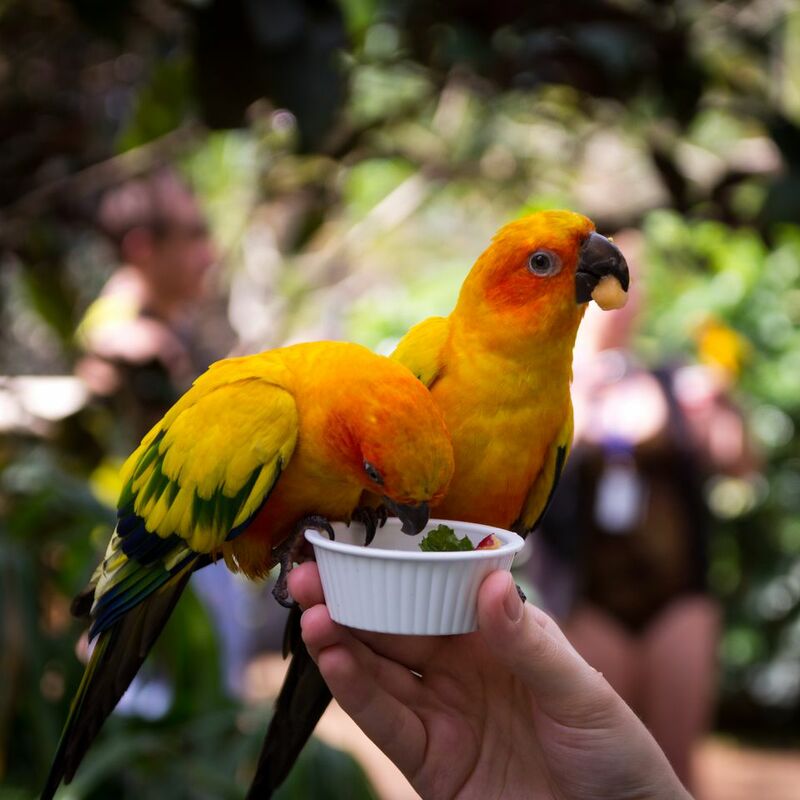 Even if you aren't a whiz in the kitchen (and especially if you are) it can be fun to try your hand at making some simple and delicious treats for your pet bird at home. The recipes listed here are tasty, packed with nutrients, and are a great way to add some variety and extra vitamins to your feathered friend's diet. Even though it may seem odd, eggs are packed with nutrition and are actually excellent food for your bird. To make a healthy omelet treat for your feathered friend, simply crack two eggs into a plastic freezer food storage bag, and add a few of your bird's favorite ingredients, such as millet, sunflower seeds, or even some bird-safe fruits and veggies. Squeeze any excess air out of the bag and seal it up. Bring a pot of water to a rolling boil, and drop the bag in. Leave it in the boiling water for 13-14 minutes, to make sure that the egg is cooked all the way through. Once it's done, take the bag out and place it on a plate. Using scissors, cut open one side of the bag. (Careful, it will be hot!) Your bird's omelet should slide right out onto the plate! Be sure to let the omelet cool to room temperature before serving it to your pet, to avoid crop burn. Discard any uneaten omelet after an hour or so, to prevent bacterial growth in your bird's cage. In addition to fresh fruits and vegetables, whole grains are also very good for your pet bird. One great way to get some of these nutritious food sources into your pet's diet is to try making your pet some delicious oatmeal chewy treats! To create these treats, place one cup of dry oatmeal in a bowl and mix it with a raw egg. 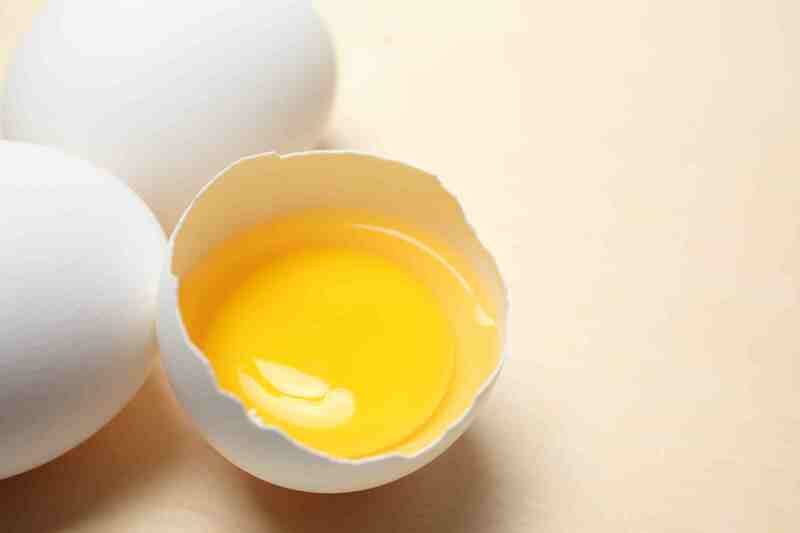 (You can also add a bit of the egg's crumbled shell for extra calcium if you'd like!) Add between 2 and 3 tablespoons of honey to the mixture as a sweetener. Spread the mixture onto a cookie sheet that has been greased with a small amount of vegetable oil, and bake it in an oven heated to 350 degrees for 8 to 10 minutes or until set. Once done, take the cookie sheet out and let it cool before cutting the oatmeal mixture into small, bite-sized​ pieces. Refrigerate any uneaten treats for up to 3 days. One way to quickly boost your bird's intake of protein and vitamin A is to offer your feathered friend some fresh sprouts. Although it's fine to purchase alfalfa sprouts for your bird at the grocery store, it is much more fun to grow your own at home, and it can be done overnight! To grow sprouts for your bird, simply take some of your pet's regular seed mix and place it in the fold of a damp paper towel. Place the towel in a windowsill, preferably one that gets a lot of sunlight and warmth. Leave it there for 24 hours. After the time has passed, check the towel and you're likely to find a bunch of fresh sprouts! If you find that your bird's seed mix will not sprout, however, it can be a sign that the seeds are not fresh enough -- in which case you will probably want to replace them with a new batch of birdseed.